CHIP helps American children avoid common dental problems. 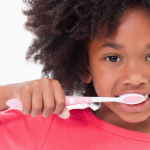 Tooth decay is a highly preventable condition, yet it’s one of the most common childhood afflictions in America. One of the most important ways you can help your child avoid tooth decay and its attendant problems is by scheduling regular preventative check-ups. CHIP (Children’s Health Insurance Program) enables children all over the nation to receive regular dental care even when their families earn too much to qualify for Medicaid. If you’re currently researching dental clinics for your child, then consider Penn Dental Medicine in Philadelphia as a option. We accept all CHIP dental coverage! Not sure whether your child might qualify for CHIP insurance? 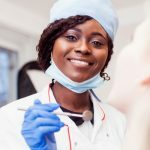 If your child doesn’t receive dental insurance through either parent, this is worth looking into! CHIP is a highly successful program run by the federal government that ensures children have access to dental and health care. Program eligibility requirements vary by state (check Pennsylvania,) but the federal website states that families of four with children earning up to $49,200 a year may qualify. That means that routine dentist visits are free for CHIP recipients! 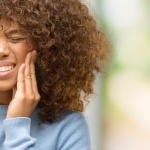 In Pennsylvania, CHIP dental plans include many other necessary benefits (with some limitations), including diagnostic services, fillings, crowns, and even root canal therapy. Penn Dental Medicine offers high quality dental services for children through our pediatric dentistry unit. In accordance with the Academy of Pediatric Dentistry (AAPD), we recommend scheduling your child’s first appointment when her or his first tooth comes in, which typically happens between six and twelve months of age. If your child is in that range, then we encourage you to schedule a visit. The sooner children start getting dental check-ups, the lower their risk for tooth decay throughout childhood. Early intervention and parental participation in their child’s hygiene are two of the most impactful ways to build healthy teeth. 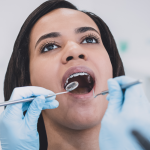 Pediatric dental appointments are an important moment for parents and their child’s pediatric dentist to discuss strategies to prevent dental disease. Penn pediatric doctors are caring dental professionals who love children and want to ensure their experience is a pleasant one! Your child will receive individualized care and personalized attention during their appointment. Once the dentist examines your child’s smile, you’ll have the opportunity to ask questions and receive recommendations on the best ways to promote good hygiene and dental health. Each positive experience at our office will help establish a lifetime of healthy dental habits for your child! Whether your children receive CHIP dental coverage or another insurance, we’re looking forward to seeing them at our office! 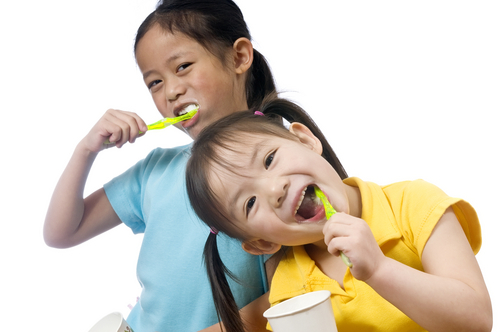 To make your child’s first dentist appointment at Penn Dental Medicine, call us at 215-898-8965!